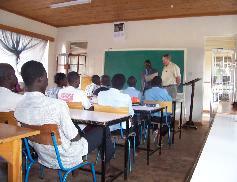 continuation of ongoing training in Kenya which began in 1997.
to approximately 40 seminary students. 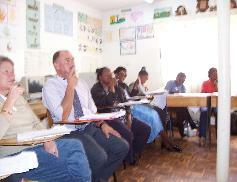 The seminar was arranged through collaboration with Dennis Okoth, M.Ed., Principal at NGCST. 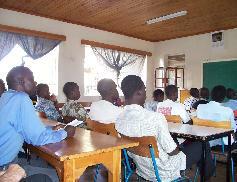 is marginalized by African society and traditional culture, and which tends to be ignored by the church as well. 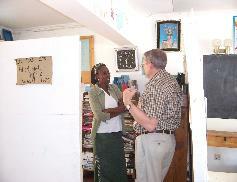 Principal Dennis Okoth and Dr.
Eva Nyoike. 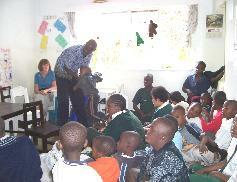 Sensitive to the need for trained people to work with disabled individuals, Eva created a diploma program for which Dr.
enrolled in this seminar, several of whom are regular class teachers working in private schools where inclusion is practiced. 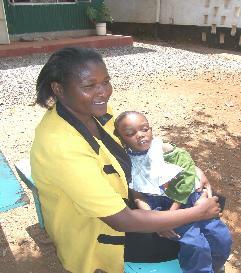 spectrum syndrome. 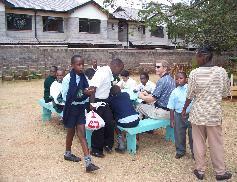 Around 30 students are enrolled, 8 of whom are residential students at Acorn.